As January is National Glaucoma Awareness Month, it’s a great time to educate yourself on this serious eye health risk. If you or a loved one have Diabetes, chances are good that you’ve heard eye problems like this one are an associated hazard. What you may not understand is why the two are connected and how they may be managed together. Your eye’s structure includes many tiny blood vessels and drainage canals. For a diabetic patient with difficulty controlling their blood sugar, eye problems often result due to swelling of these vulnerable tissues. Glaucoma occurs as fluid fails to drain through the swollen canals and internal eye pressure sharply increases. The nerves of the eye are damaged as a result and the patient may lose partial or total sight. One of the greatest problems with Glaucoma is that a victim may have little or no symptoms until it’s too late and permanent vision loss has occurred. Others may be fortunate to have signs before this happens and could experience headaches, unusual changes in vision, watery eyes or halos that appear around light sources. It’s important to act quickly and get to your ophthalmologist right away should you notice symptoms like these. Be sure that your eye doctor knows about your diabetic condition as this will help him or her perform the right tests and be alert for eye conditions related to diabetes. 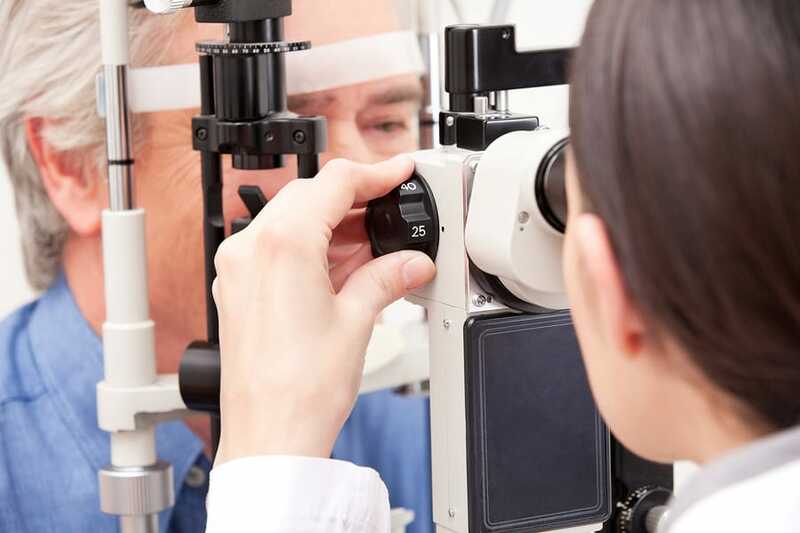 To diagnose Glaucoma, the doctor may perform tests like eye pressure measurement or checking for optic nerve problems in addition to monitoring vision changes. If your eye doctor confirms that you are developing the condition, you may be given prescription eye drops or oral medication to reduce your eye pressure. You may be referred to a specialist for laser eye surgery to correct drainage or eye circulation issues. For diabetics, the annual eye exam can mean the difference between blindness and sight. Follow your exam schedule and do your best to keep your blood sugar controlled. Glaucoma can be a silent thief of sight for a diabetic patient. If you are diabetic, discuss your risks of this disease and other related eye health issues so that you can prevent vision loss and ensure that your eyes are healthy for years to come.